The Philadelphia Baptist Association (PBA) is the oldest continuous association of Baptist churches in the United States. Founded in 1707 by five Baptist churches, PBA was established to be a witness and transforming association for Jesus Christ. Following the Civil War, and up to World War I, PBA churches experienced a period of growth. Many new churches were formed and many existing congregations became active participants in developing the city. A prime example of this was the Grace Baptist Church, (now Grace Baptist Church of Blue Bell) popularly known as the Baptist Temple located on North Broad Street under the leadership of Dr. Russell H. Conwell. Through this church, Temple University was founded in 1886 to educate underprivileged youths for ministry and responsible leadership in society. This church was also instrumental in founding what is today Temple University Hospital. In the nineteenth century, a wave of charitable enthusiasm resulted in the establishment of several institutions. Among these were The Baptist Home (Deer Meadows Retirement Community), founded in 1869, Baptist City Mission in 1879, and the Baptist Orphanage of Philadelphia (The Baptist Children’s Services) and the American Baptist Publication Society, both founded in 1883. PBA’s influence in the 20th century included championing the principle of separation of church and state in the public school system in 1901 and the Child Labor Act from 1913 to 1915. It also supported the establishment of institutions such as the Downington Industrial School in 1905, The Baptist Settlement House in 1906, the New Settlement House in 1911, the Philadelphia Baptist Mission Society in 1920, the Good Shepherd Ministries in 1947, and the Opportunities Industrialization Center in the 1960s. PBA’s efforts broadened to include prison ministries in 1978, partnership with the Baptist Convention of South Africa in 1989, and facilitating multicultural pastoral relationships. By 1991 , PBA and its member churches provided financial and volunteer support to ministries in Central America. Today, PBA is an interracial and intercultural cosmopolitan body serving in a broad range of mission and ministries. 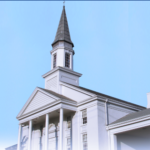 Because of the Baptist emphasis on religious freedom and the right of the individual believer to interpret the Bible according to his or her own conscience, PBA churches span a range of theological interpretations. They also represent a wide range of cultural backgrounds, social concerns, and ministries.